This year we celebrate our 10th anniversary! Nothing hits closer to the heart than a kid in need. When DePaul Community Resources approached us about a campaign to draw in new foster parents, it tugged on our heartstrings, and we knew immediately that was the way to also engage these new potential families. The ideal family for DePaul was someone who understood the most important part of their roll was in the small acts of love they performed everyday. The care-taking, the patience, the kindness. It's not always easy, but it is always rewarding. That became the focus of all our messaging in the "Fostering Everyday Love" campaign we pulled together. We told that story through the voice of four foster children in a series of videos, as well as supporting print and photo material. These pieces helped DePaul connect with and inform ideal families who felt called to make a difference in these children's lives. We also worked with local media, coordinating press conferences and press releases to help raise awareness and engage the community engage with the need. There is a reason this campaign made it to the top of our list. We do a lot of good work we are proud of... and help a lot of clients... but not all of them end with a kid finding a family and receiving the love they deserve. Not just good work, but GOOD work. When people think of advertising and marketing, they usually think about how it affects business development. Really, it’s just as important to human resources and attracting the right talent to your company.In 2014, Corvesta came to us with a very specific need of hiring 26 I.T. professionals within a challenging timeframe of just a couple of months. We got to work right away, branding the campaign “Hire 26". We quickly began creating collateral – a logo and microsite, – to help promote the movement. We then helped Corvesta launch an internal referral recruitment program and designed, placed, and tracked web ads. We also engaged with local media and reached out to key regional colleges, universities, and their alumni departments. Using current employees and interested parties, an easy-to-remember web site, and thoughtful branding made this campaign effective. The last of the open positions were filled on March 21, 2014 – ten days before their deadline.We enjoyed creating this campaign, but like a lot of our Top 10 picks, we love this one because we helped Corvesta reach an ambitious goal. This campaign hit close to home for our team. Our PR Ninja is a volunteer firefighter himself, and our Special Ops has a father that serves as well. So naturally, when the Cave Spring Volunteer Fire Department approached us to help them with a much needed recruitment push, we were all in. The creative concept behind the video is one of our all-time favorites. Absence became such a simple and impactful way to get across the message behind the campaign: “If you don’t answer the call, who will?” You simply can't watch it without thinking about the importance of volunteer firefighters. And the best part of it all? After producing the video and sharing it, promoting and holding informational events, and helping get ample media coverage of the recruitment push... It worked. The Cave Spring Volunteer Fire Department met their goal for new recruits, breathing a much needed new life into their station – and their community. When Ostrom was fresh on the residential electrical scene and trying to make a name for themselves, they turned to B2C Enterprises to help them figure out how to do just that. An advertising and marketing strategy certainly played its part, but what can you do to help associate a name like "Ostrom" with electrical work? Well, in a moment of inspiration, the idea flooded our founder's creative brain... "Oh!" And "Oh is for Ostrom" was born. It may have seemed a bit corny... but it was equally as clever, and better yet it totally worked. The advertisements started running and suddenly Ostrom had identity. They had something that made them stand out from all the other utility service industries out there. When you saw the commercials, it stuck in your head. Then when you had an electrical issue in your home... Oh! We recently mentioned how fun it is when a client is willing to be a bit daring… Well, Member One was no exception with their "Carl and Roy" campaign several years ago. The concept was actually the brainchild of their marketing team, but they leaned on us to help flesh it out with branding, website design and build, print and digital designs. Being the superheroes they were, the pair went all out with everything from bobble heads and capes to live television segments and event appearances. 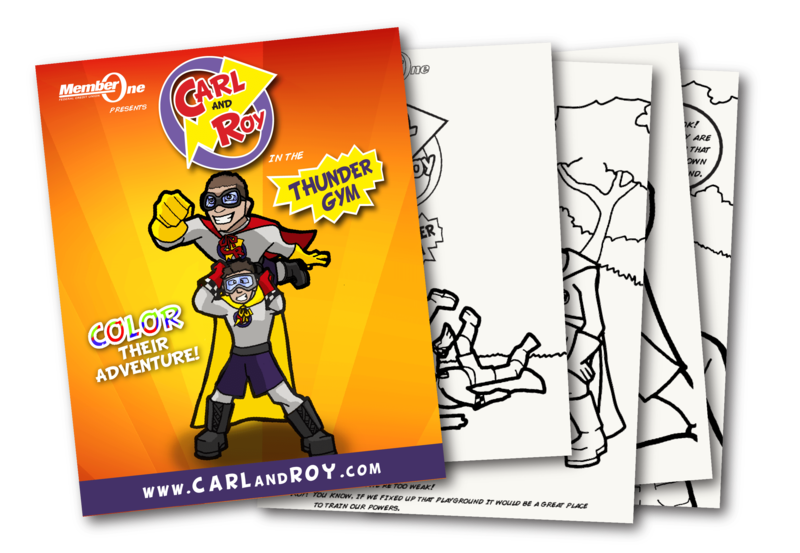 Carl and Roy even starred in a coloring book we helped create. While we may have only played a few parts in the overall vision, it was a lot of fun executing the fine details and we’re very proud of the end result. 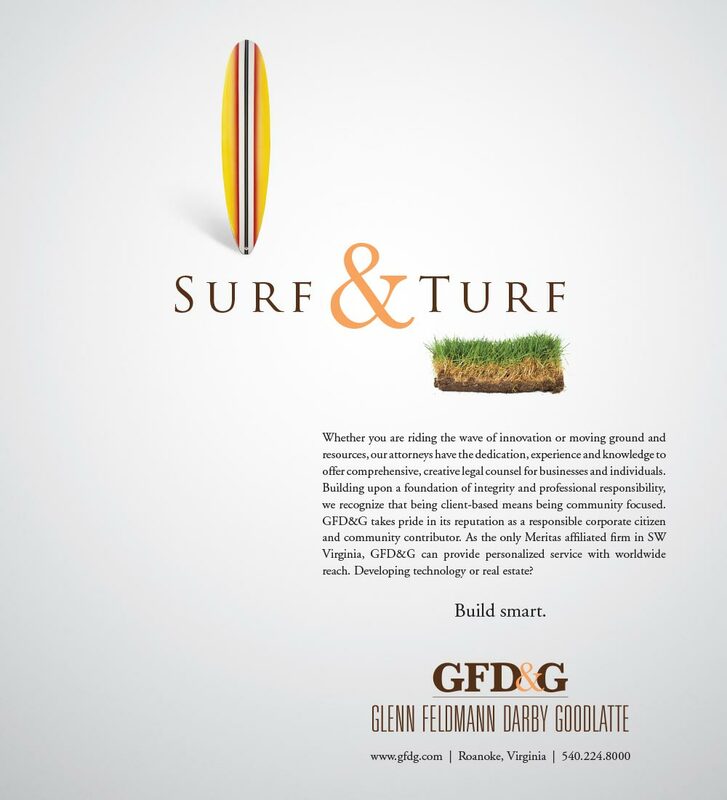 Standing out from the “noise” of other advertisements is something we always encourage our clients to do. Member One definitely did that with this effort. There’s a lot of excitement when you get to be part of branding a new company... and there’s also a lot of pressure. Here we helped a startup tech business out of Charlotte use their name and their vision to flesh out an authentic identity. Their logo, their tag line, their website – all of them were going to serve as their first impression to the public and a banner for their future employees to rally behind. The end result had to be just right. 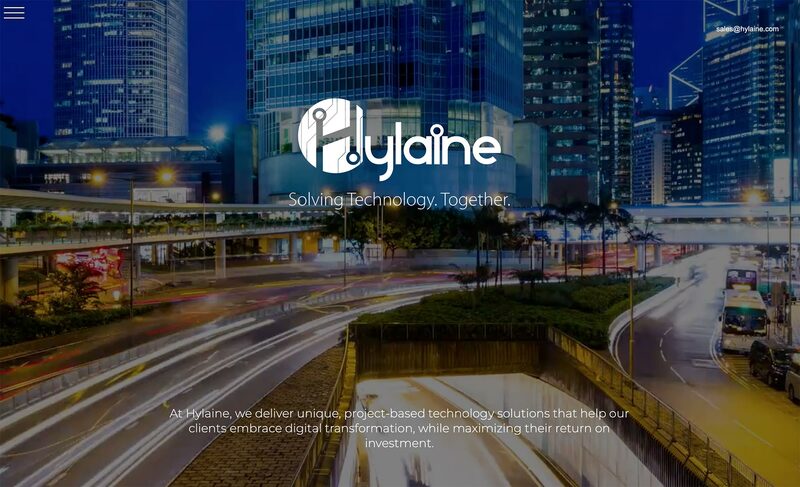 We connected with Hylaine right away and it wasn’t long before we knew very good work was going to come out of the partnership. Specifically, a logo that captured their personality and was forward-thinking, a tag line that built on their great value of trust and relationships, and a website that said just enough to leave people wanting more (and also happened to win an Addy award that year). The success wasn’t just found on our end. Hylaine has exploded with growth over the last year and a half and, while we're not saying a solid logo and engaging website is responsible for their accomplishments, it certainly doesn't hurt. One of the many ways to have your advertisement stand out from the rest is to use humor. It’s one of the more fun approaches, but sometimes you need your client to be a bit daring to pull it off right. With this campaign, the roles reversed. The client was the one that brought the daring idea to us and – even better – they just let us run with it. That kind of collaboration and creative freedom is what it takes to make stand-out work, and this campaign definitely stands out. 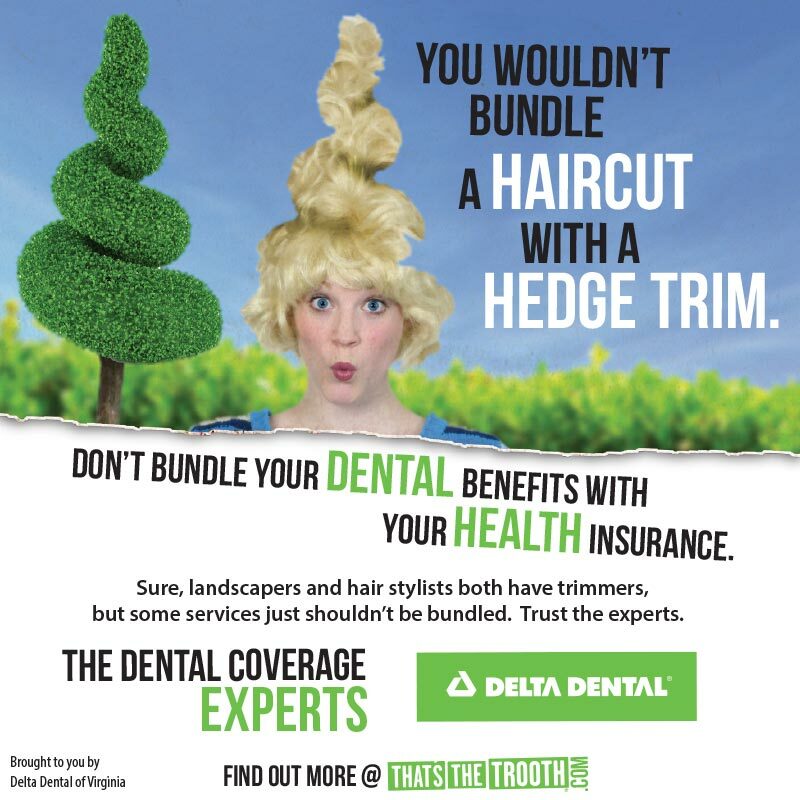 After more than five years since producing this campaign with Delta Dental of Virginia, we still crack up every time we see it. Without a doubt, it’s well deserving of a spot in our top ten. Back in the earlier days of our agency we took a single typography character and made it a part of a substantial branding and marketing campaign. 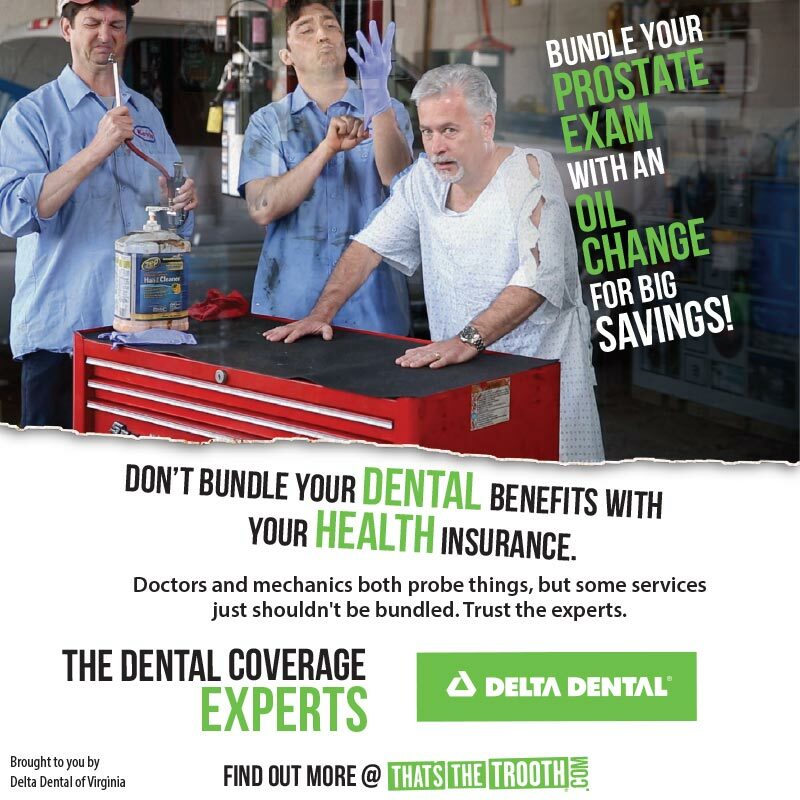 We worked with the marketing team at Glenn, Feldmann, Darby & Goodlatte to help them build awareness for the practice and the partners. Their ampersand became the focal point. 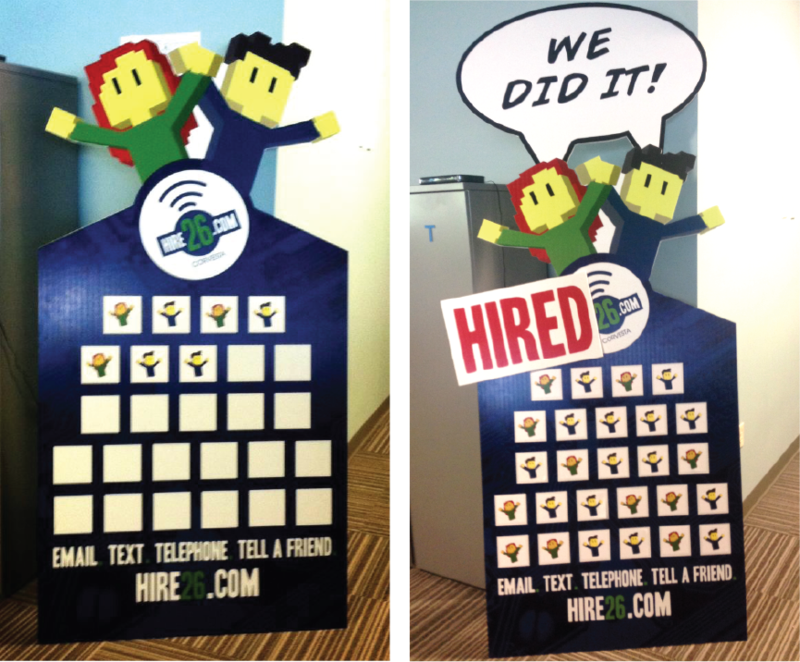 In a play on words, we launched it with our creative partners to capture attention and differentiate the firm. After kicking it off with “Boxers & Briefs” we moved into some other relevant practice areas. 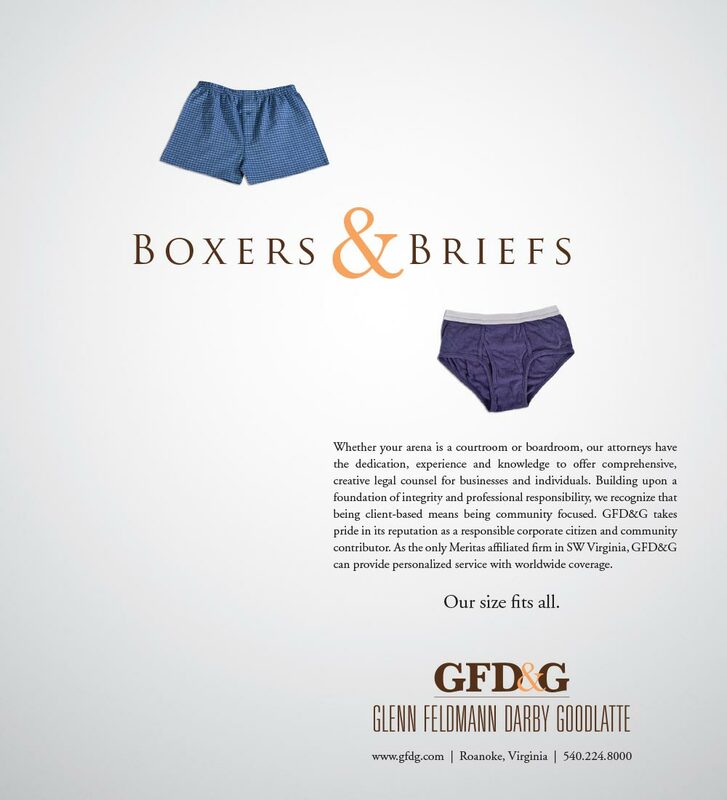 It was a bit of a daring approach for a law firm and it’s one of our most memorable campaigns even years later. How do you advertise for ENT doctors in a way that interrupts the audience? Well, in the early years of B2C we did it with this video. A clever, fun, and engaging way to get people to think about their ENT needs and remind them of Jefferson Surgical Clinic. There was also the added joy of Bruce getting to have one of his children in the production. It's been several years since we shot this commercial. The video quality, and Bruce's son, may both show their age now, but we are no less proud of what a creative campaign it was. A special shout out to Chris Henson for his help on this project way back when, and to the late Grant Plaskon who helped us a lot in the early days of our agency. We work with a very wide variety of clients and, needless to say, this Virginia Beach brewing company is one of the hippest. Over the last five years, we've worked with Reaver Beach on everything from branding to t-shirts. 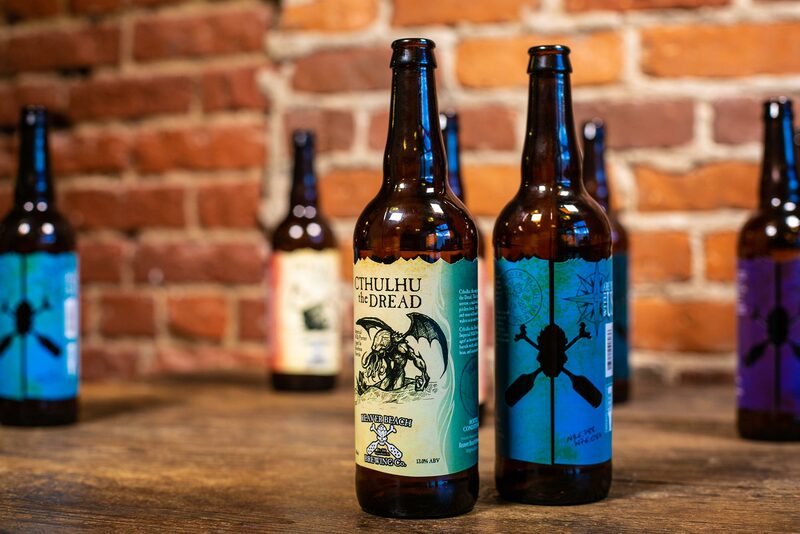 The longest ongoing project, however, has been designing labels for their award-winning craft beers, including those packaged in cans and, most frequently, bottles. It’s always a treat to work on these products. 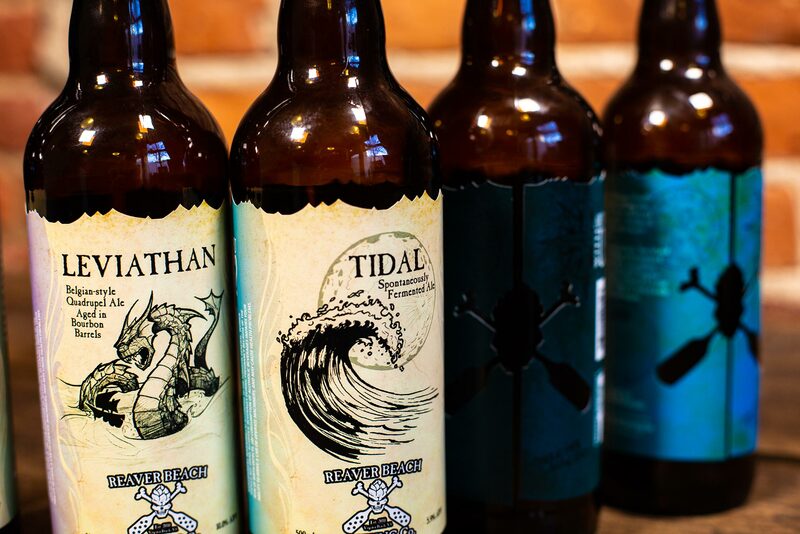 These labels are one of the few chances we get to flex those good ole drawing muscles on a blank canvas. Not to mention we get to see our work in retail stores across the region! 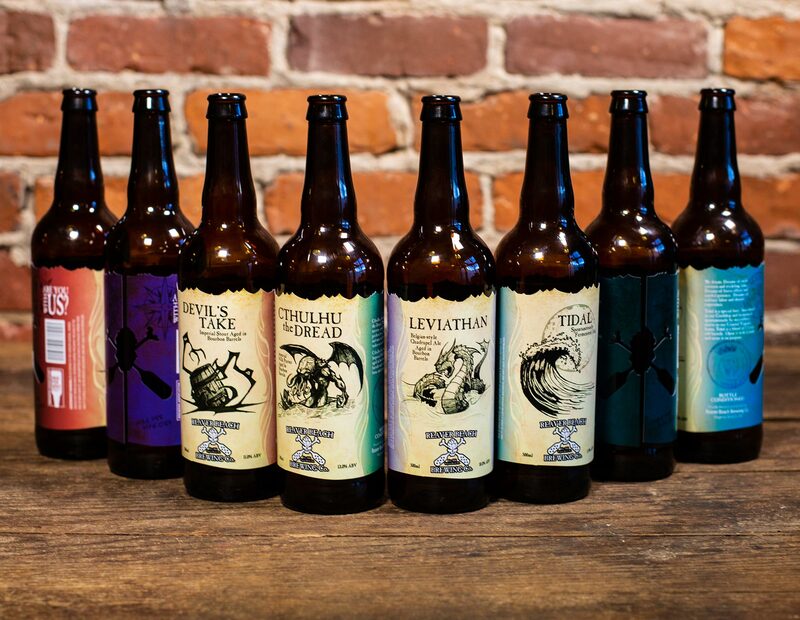 With more than 40 bottle illustrations under our belt, we’re happy to keep creating these labels for as long as Reaver Beach continues coming up with their delicious beers. Visit again next week to see the next entry in our Top 10!